Sport utility vehicles have never been more popular than they are in Canada at this moment. Motorists like vehicles that are versatile and spacious. In addition, SUVs have improved a lot in terms of fuel efficiency! They’re also safer and a lot more fun to drive nowadays. SUVs are certainly a gamechanger, and the new 2018 Honda CR-V is proof that going with an SUV means making no compromises. 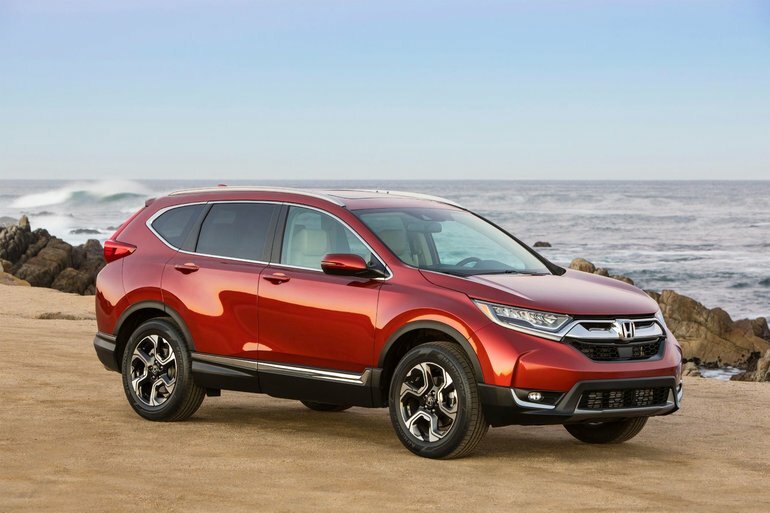 The 2018 Honda CR-V was completely redesigned last year and now offers modern safety and connectivity technologies paired with an economical and powerful engine. Under the hood of the 2018 Honda CR-V is a 1.5-litre turbo four-cylinder engine that develops an impressive 190 horsepower and 179 lb-ft of torque. Better yet, the 2018 Honda CR-V is not only powerful, it’s also very fuel-efficient. The entry-level front-wheel drive model has an average fuel consumption rating of just 7.0 litres per 100 kilometres on the highway and 8.4 litres per 100 kilometres in the city. That’s quite impressive. Even if you opt for the all-wheel drive version, you’ll still get an average fuel consumption rating of 8.7 litres per 100 kilometres in the city and 7.2 litres per 100 kilometres on the highway. For a vehicle capable of towing 1,500 pounds or 680 kilos, that’s not bad at all. In addition to being powerful, the 2018 Honda CR-V is also very spacious with a trunk that can accommodate more than 1,110 litres with all seats in place and more than 2,000 litres with the rear seats lowered. Combine all of this with the ability to get the Honda Sensing safety system and a starting price of just $27,090, and you have a compact SUV that really has it all! Contact us today at Cornwall Honda to learn more about the new 2018 Honda CR-V!